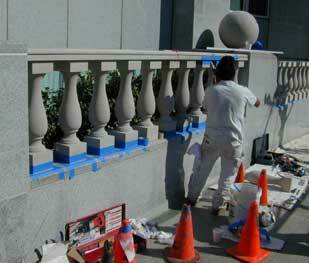 The balustrades on this building sitting atop Nob Hill in San Francisco were made of cast in place concrete. The columns had a long history of spalling from metal ties inserted in the concrete. Our recommendation to the owners was to replace the existing balustrades with natural limestone. We contracted with Old World Stone (www.oldworldstone.com) in Canada to fabricate new balustrade assemblies from Indiana Limestone. 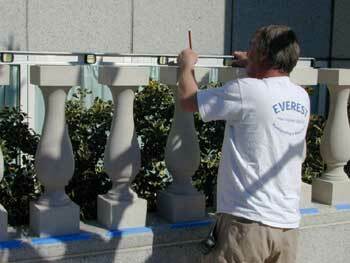 We are currently replacing all coping and balustrades with the stone. The owners are thrilled with the elegant new look and comforted in the knowledge that they will never have spalling problems again.